Fruit of the Spirit Links, etc. Welcome to the Fruit of the Spirit Creative Arts Retreat in Daily Life. Each week I will post some links that are relevant to the retreat material. I will be doing the retreat from September 15-November 17, 2012. The links will stay up for those who are doing the retreat on a different schedule. Those participating in the retreat are encouraged to post links in the comments below. And you can join the discussion in our Facebook group. The yarn in the back pocket of the stuffed books is quite bulky. You might want to take it out and set it aside. You will not need it until week 7. 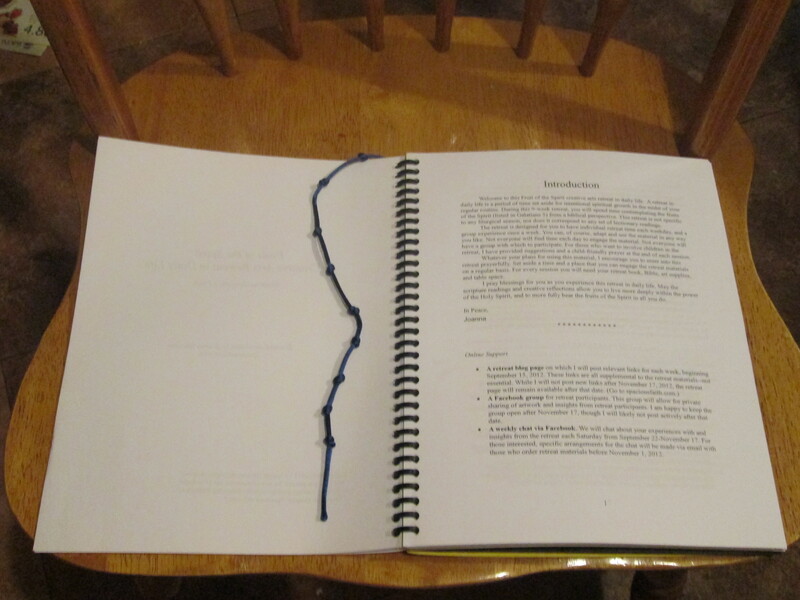 I decided to use my knotted cord as a bookmark for my retreat book. I tied the end onto the top spiral on the outside of the book. Instead of making a knotted chord, get piece of paper or card stock (about 1/4 of a full sheet should work) and list the nine fruits of the Spirit. 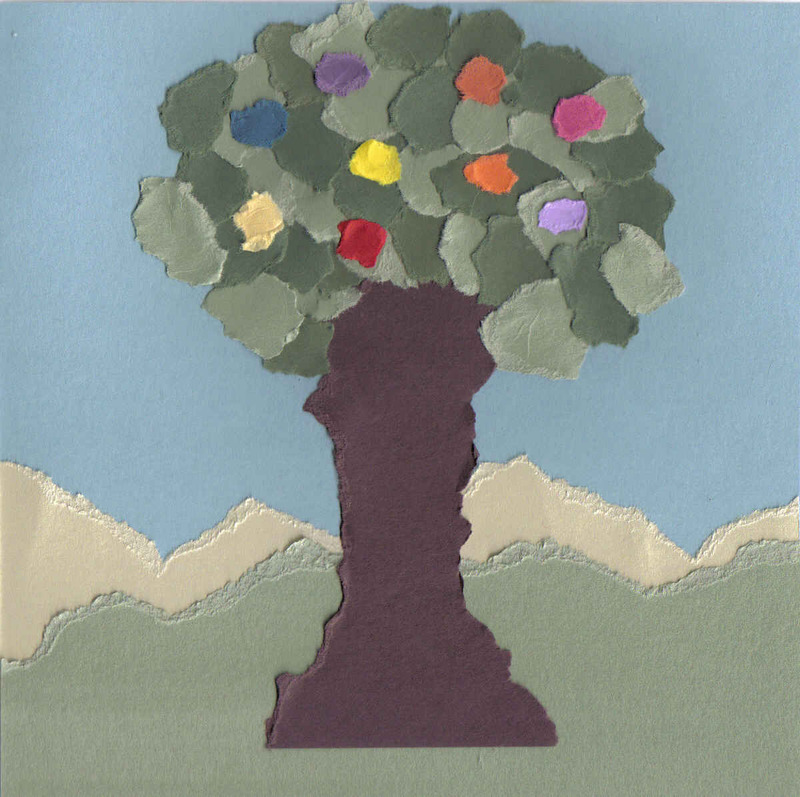 Let your child(ren) decorate this paper while you listen to the “Fruit of the Spirit” song. Children’s Song, “Have Patience”–I loved this when I was a kid! Song from Acapella based on 2 Peter 1:3-9. Lovely painting of “The Anxiety of St. Joseph” by James Tissot. Children’s song about faith from the Music Machine. Instructions and a picture for Wednesday’s prayer stick activity. 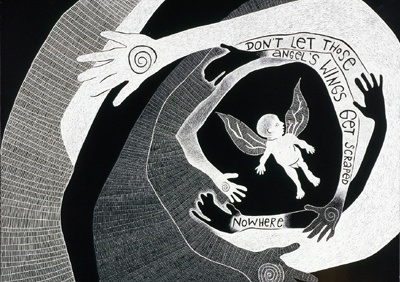 Another hand-tracing prayer practice–in case you liked Friday’s reflection activity. A beautiful work of art by my friend, Lora Jost. Image and poem by Jan Richardson on the burial of Jesus. Another image of the burial of Jesus. Thoughts and artwork about my experience of blessing the children. Yo Yo Ma playing the prelude to Bach’s Cello Suite #1–a beautiful, gentle piece of music.